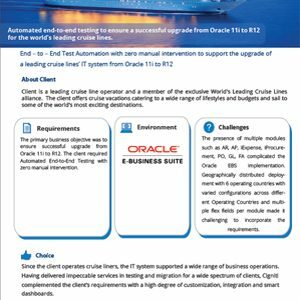 Automated end-to-end testing to ensure a successful upgrade from Oracle 11i to R12 for the world’s leading cruise lines. 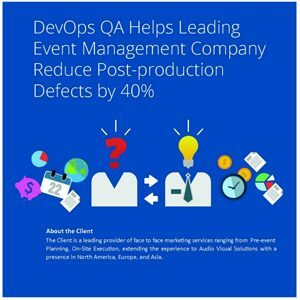 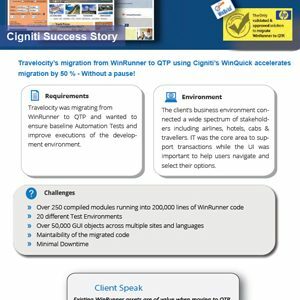 Travelocity’s migration from WinRunner to QTP using Cigniti’s WinQuick accelerates migration by 50 % – Without a pause! 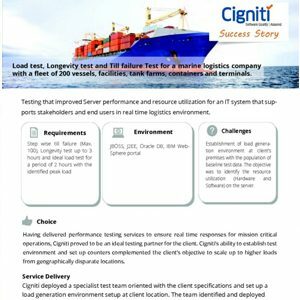 Load test, Longevity test and Till failure Test for a marine logistics company with a fleet of 200 vessels, facilities, tank farms, containers and terminals. 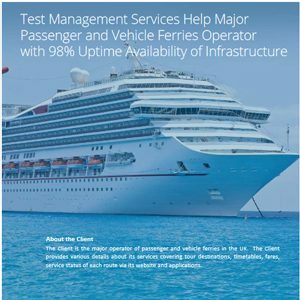 Testing that improved Server performance and resource utilization for an IT system that supports stakeholders and end users in real time logistics environment.